Wow, so many emotions and memories! Thanks so much to everyone who contributed. Particularly love the Larsen clan’s contribution! 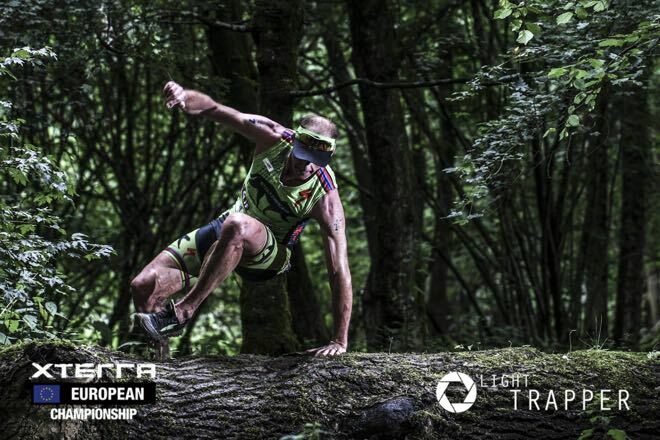 “I’m pretty sure this it,” explained the most iconic XTERRA athlete of all-time, Conrad Stoltz, about Sunday’s European Championship race in England being his last XTERRA. Awesome could also describe Stoltz’ career and his impact on the sport. Well beyond his unprecedented 51 career championship wins (53 if you count Buffelspoort) and seven world titles is a gentle giant beloved worldwide for his warm smile and welcoming demeanor as much as his fearless downhill skills. Stoltz is a rare gem of a person – genuine, caring, smart, and giving. There are so many great examples showcasing the strength of his character. Flashback to Tokyo, Japan, 2011, at one of the busiest subway stations on earth. Stoltz noticed a woman struggling with her luggage at the top of a stairwell at the exit. While hundreds of commuters quickly navigated their way around the woman, the Caveman worked his way through the crowd – like a fish swimming upstream – to help her, grabbing the cumbersome luggage and carrying it down a massive flight of 100 stairs to the bottom. 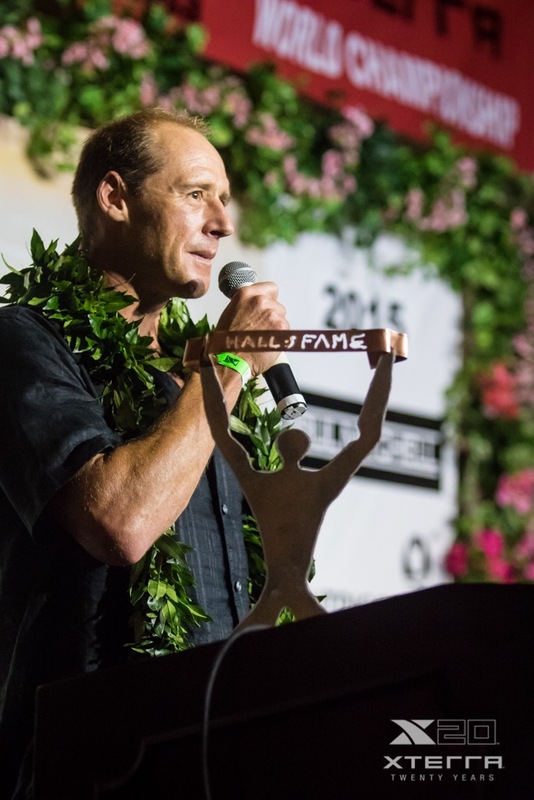 Over the past 15 years XTERRA has had the pleasure of seeing him perform countless acts of kindness – from signing autographs and providing simple words of advice to full-blown mentoring gigs and visiting sick kids at Children’s Hospitals. Sunday was just one of the best days of my life. I found Conrad Stoltz’ water bottle at the bottom of the last bike hill, and felt like I won the lottery. He is such an inspiration. I mentioned to my friends that, wouldn’t it be great if I could somehow return it to him, because it seemed like a special bottle, unlike all the others. Oh my gosh. So I told Conrad, I was really hoping all day that I could return his bottle to him, because I felt it was a special bottle. He said, “you keep it, I have more”. To put Marita’s note in further perspective, Conrad had to pull from Worlds on the run that year – he couldn’t breathe. DNFs are not part of his culture, so you can trust his disappointment was off-the-charts, but despite this – his character remained true. Perseverance. Conrad has that in truck loads. When in 2006 he broke his back pre-riding the course at Nationals, he didn’t give up. 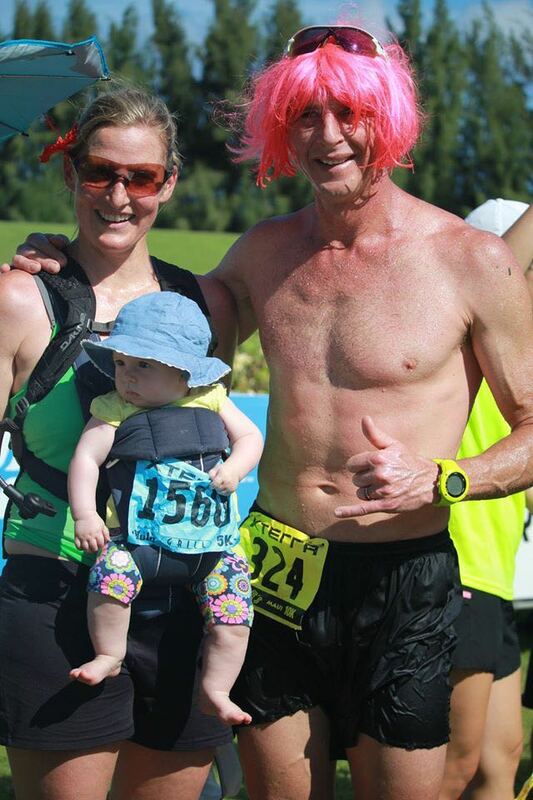 He actually showed up at the race two days later to support the rest of the XTERRA Tribe, arm in a sling, pain pursing through his body – but his character was holding strong. The next year he won everything, including his third world title. In 2009 after slicing his foot open before the start of the East Championship, while retrieving a buoy that had gotten unhooked, he didn’t give up. He won that race. In 2010 when he wanted to go home and be with his Dad while he was in a fierce battle with cancer, his Dad told him no, to race and make him proud. 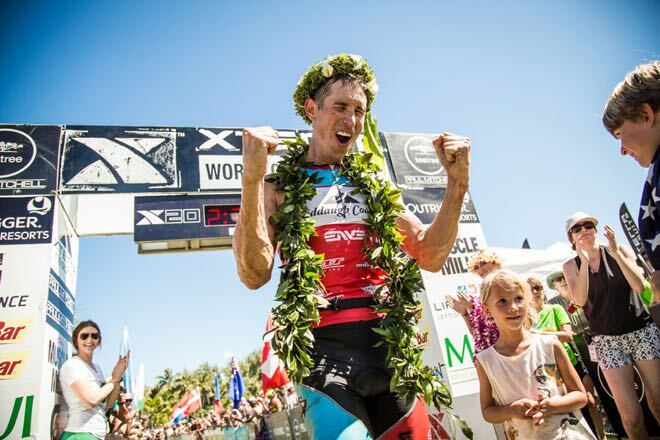 He did just that by winning his unprecedented fourth XTERRA World Title in his honor. ESPN paid tribute to his effort by naming it a top 10 play. Trust that his retirement has nothing to do with giving up, it’s more about moving on to start the next chapter of life with his lovely wife Liezel and baby Xena. It’s a move we can all admire. 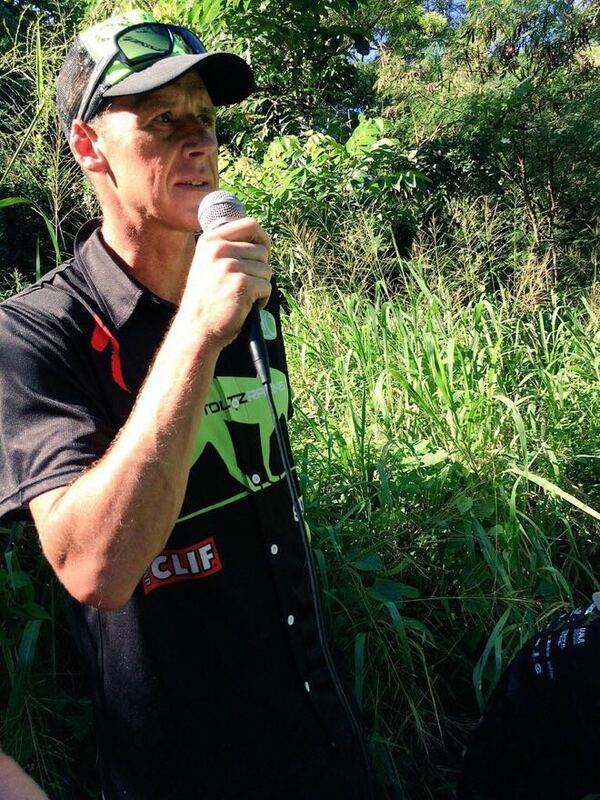 Watch clips from our interview “Caveman in Cranleigh” on Facebook.com/XTERRAplanet.